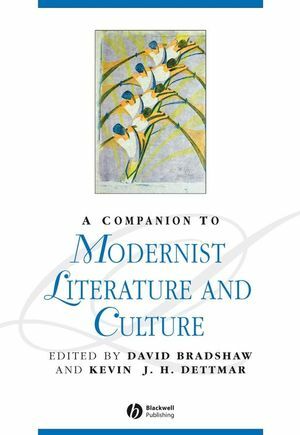 The Companion combines a broad grounding in the essential texts and contexts of the modernist movement with the unique insights of scholars whose careers have been devoted to the study of modernism. David Bradshaw is Reader in English Literature at Oxford University and Hawthornden Fellow and Tutor in English Literature at Worcester College, Oxford. He has edited many works of modernist literature, including the Oxford World’s Classics editions of Lawrence’s Women in Love (1998), Woolf’s Mrs Dalloway (2000) and To The Lighthouse (2006), and the Penguin Classics editions of Waugh’s Decline and Fall (2001) and The Good Soldier (2002). He is also the editor of A Concise Companion to Modernism (Blackwell, 2003) and is Victorian and Modern Literature Editor of the Review of English Studies. Kevin J. H. Dettmar is W. M. Keck Distinguished Service Professor and Chair of English at Pomona College, California. He has written and edited a number of books, on James Joyce, modernist literature and culture, and rock & roll, edited the Barnes & Noble Classics edition of Joyce’s Portrait of the Artist as a Young Man and Dubliners, and has served as President of the Modernist Studies Association. He is series editor, with Mark Wollaeger, of the Modernist Literature & Culture series published by Oxford University Press.